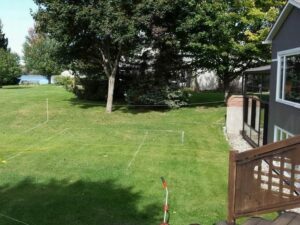 Taking a yard from a blank slate to an oasis requires a plan. 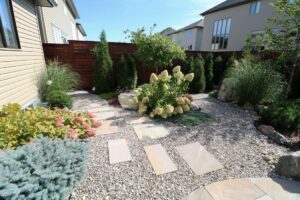 If your yard is a blank slate or in need of an overhaul, it can be difficult to know where to start and how to come up with great landscaping ideas to turn your outdoor space from a dud to a stud. 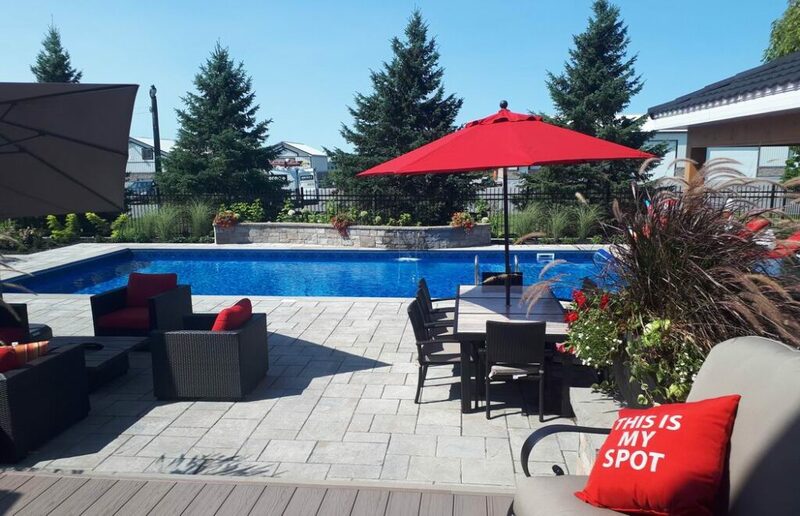 With that in mind, All Things Home co-founder Anita Murray teamed up with landscape designer Stephanie Scott of Yards Unlimited to show visitors at the recent Ottawa Home & Garden Show how to go from a blank slate to an oasis. Stephanie Scott of Yards Unlimited, left, and Anita Murray of All Things Home. 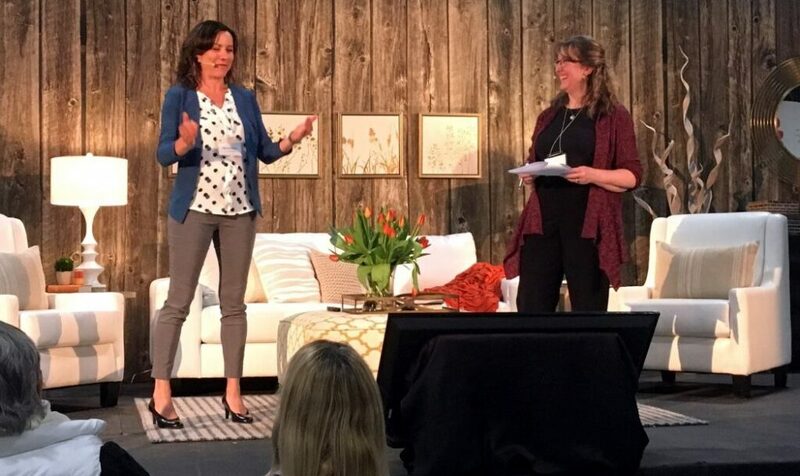 Their Q&A presentation on the main stage offered helpful tips on where to start and how to prioritize, with inspiring examples to get homeowners dreaming of their perfect outdoor space. This is an edited version of their talk. 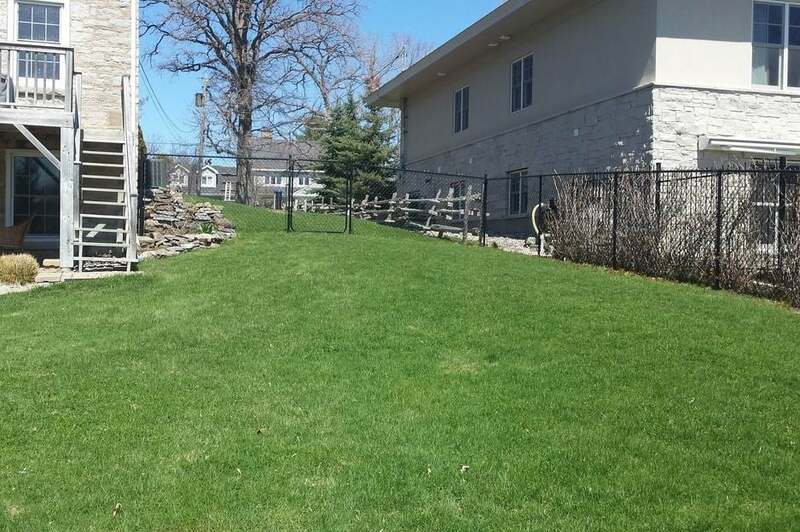 Anita Murray: Is it a different approach when you’re looking at a yard that has had nothing done to it versus one that needs a bit of an overhaul? you want to create privacy, but you don’t have to worry about what to keep or not keep. With a property that is not a blank slate, it can be a tough call deciding what to keep because you don’t necessarily want to remove everything and start all over. Sometimes it’s good to work with what you already have and just add to it. 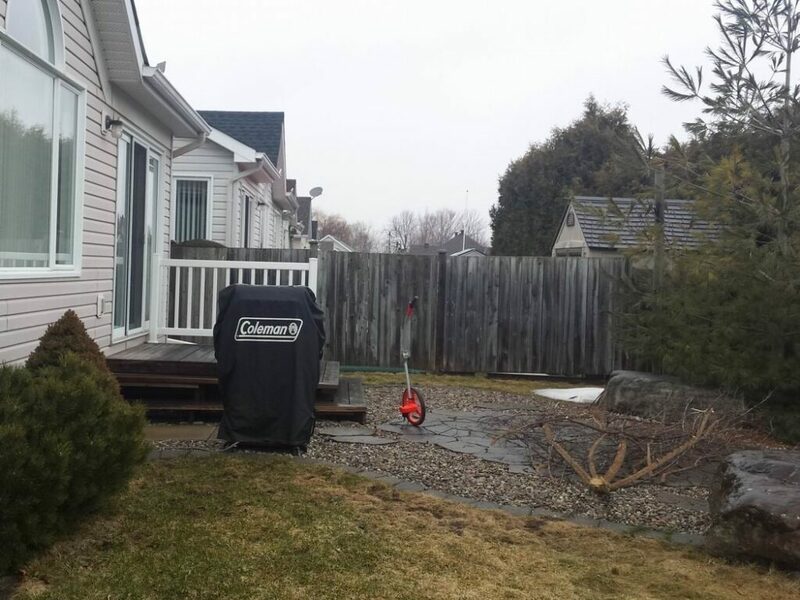 Other times removing one thing, like an overgrown plant, makes a big difference. AM: So where do you start? SS: I start by listening to clients and asking the right questions. I want to know how you want to use the space. Will you use it for morning coffee or more for evening use? How do you barbecue, when do you barbecue? I look at the house, too. The home architecture tells me a lot. 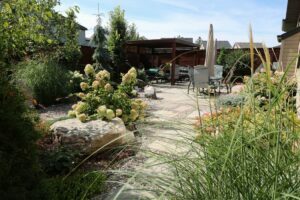 AM: As a landscape designer, I know you’re a little biased when it comes to answering this question, but what is the value of having something professionally designed? And what about the various levels of involvement, from a quick consultation to designing and managing the whole project? SS: Little is renovated these days without a plan. 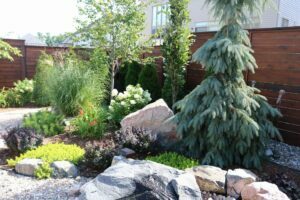 When it comes to your yard, you can do it yourself as long as you know what you’re getting, you know it’s going to look good and the person installing it understands the scope of the work. 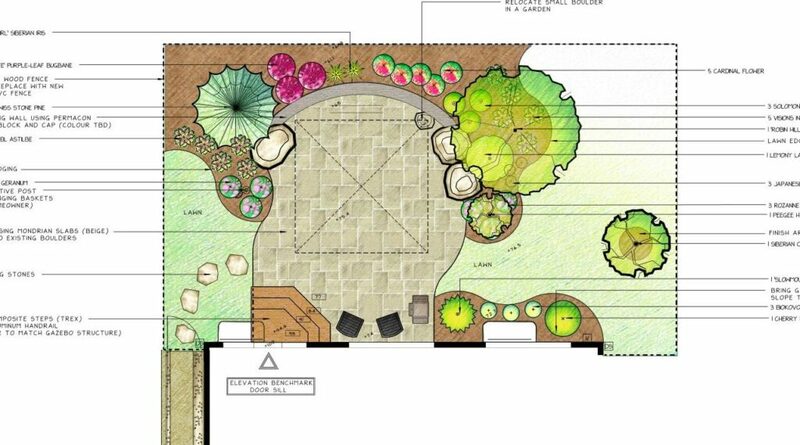 A landscape designer can do just a consultation and give you lots of ideas to implement yourself. 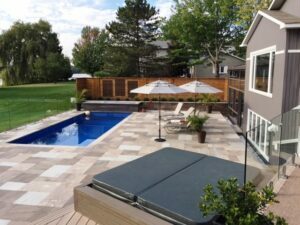 But the design is really a communication tool so that you know what you’re getting, the contractor knows what they’re building or pricing, and it eliminates all the grey areas. And grey can cost a lot of money. With a plan, we know exactly how many plants, we know what material, we know the height of everything, and it ensures that no matter how much you’re spending, you know what to expect and you end up with a nice finished product. A design helps put it all together to make sure you’re happy with the living space. and then implement it yourself without having to bring a company in to do it? 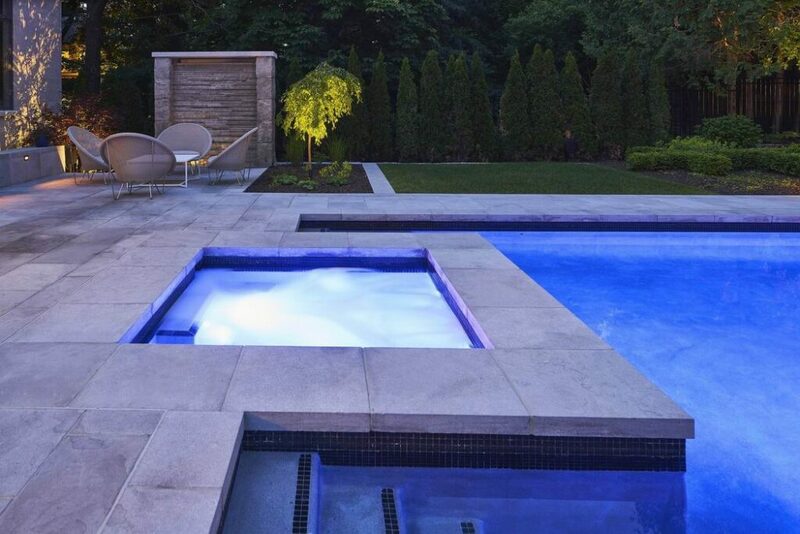 SS: You’d probably want a company to do the patio portion at least. But now the design becomes a tool to implement your project in phases. 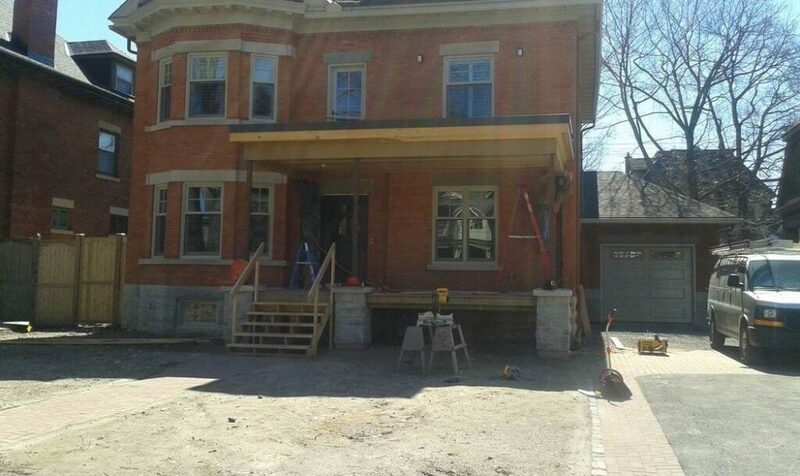 This year you might do the patio and the steps. And then if your budget allows next year, you add the garden. 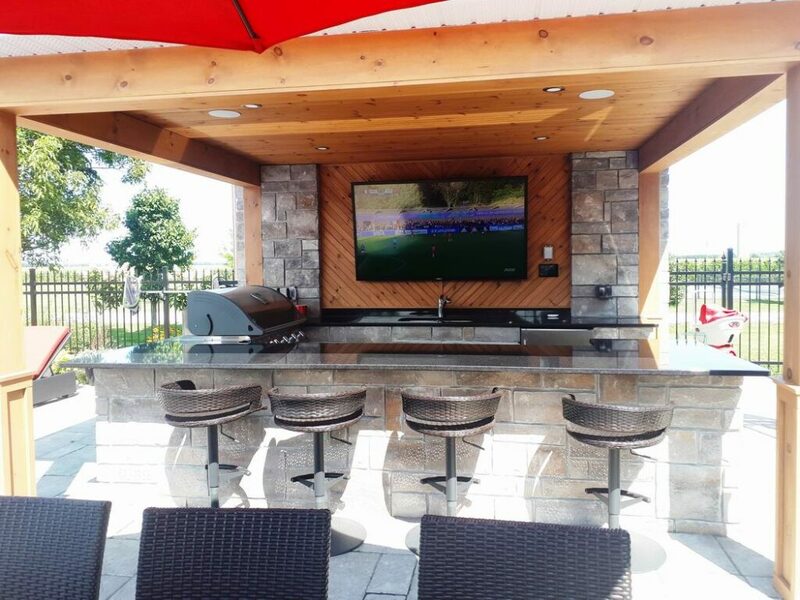 Maybe next you’ll add a pergola, but we’ve already installed all the supporting Sonotubes for the pergola underneath your patio so you’re not duplicating cost or backtracking. A plan can help you implement things in a proper order, which saves you money in the end. AM: What kind of questions do you need answered before you start? SS: Clients often aren’t sure what they should do or what they want. But you don’t have to know what you want. What I need to find out is how you want to use the space. I’ll also ask about budget. It doesn’t have to be a hard number and we don’t have to stay there, but knowing the budget helps me give you the best options and figure out where we can save money. 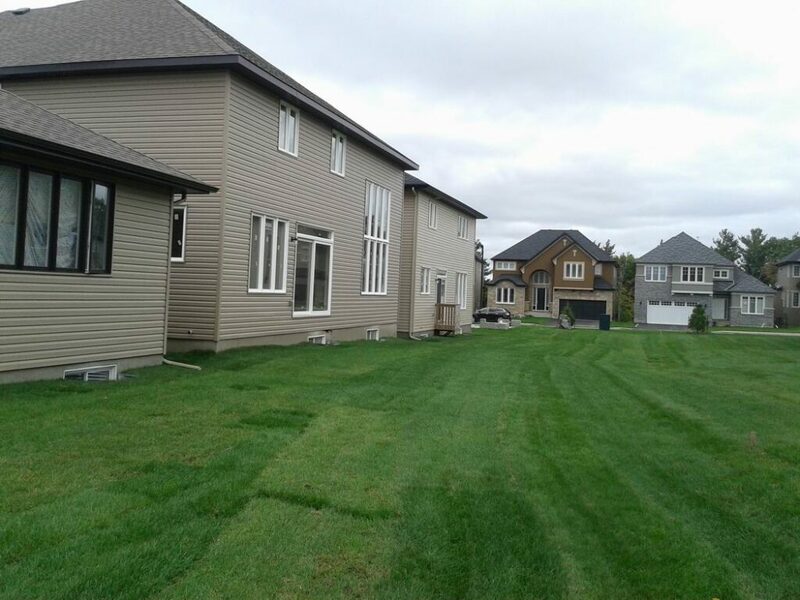 At the same time, there are certain things in a project that you really need to invest in, like the main construction elements, costs associated with proper grading and drainage of the property, or a focal point element. I try to give you the maximum for the budget range that you’re comfortable with. AM: What about creating zones. Are they important? SS: It’s like interiors; everything changes all the time but there’s no right or wrong answer. 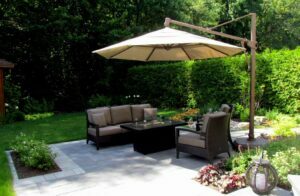 Before, everyone had a dining table, the umbrella, and that was our outside space. And then we wanted to add a couch and a lounge area, creating two areas. Then it became more of an open concept so, if you’re entertaining, people are congregating in the same area. It also keeps the costs down as far as installation. 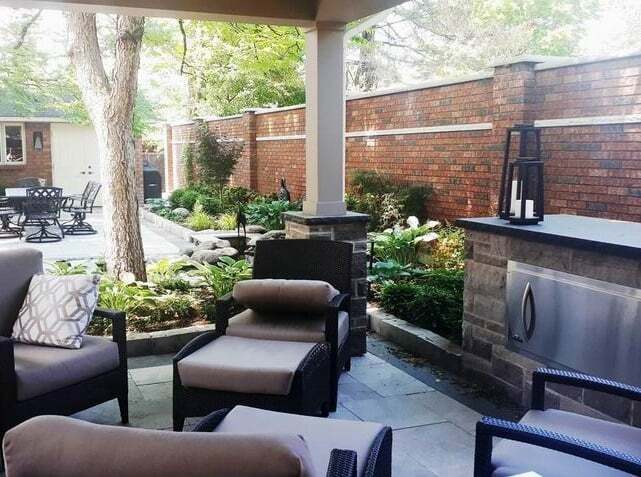 This project by Hobin Architecture, 2H Interior Design & Cada Construction shows how destinations like the seating area in this yard can create a focal point. But now we’re starting to create destination points. We used to keep everything close to the house, which was really practical. Now we’re starting to migrate to a corner or a little area or something secluded. It could be a focal point, too. It’s more work, but at the same time it’s a different kind of experience. 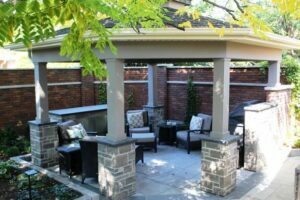 Creating zones or destination points is not for everybody, but many like how it becomes a little backyard oasis feeling versus just the big patio with gardens around the perimeter. AM: You wanted to talk a bit about Pantone’s colour of the year and how it relates to outdoor spaces. The influential Pantone Color Institute sets the tone when it comes to colour in fashion, design, textiles, and even flowers. 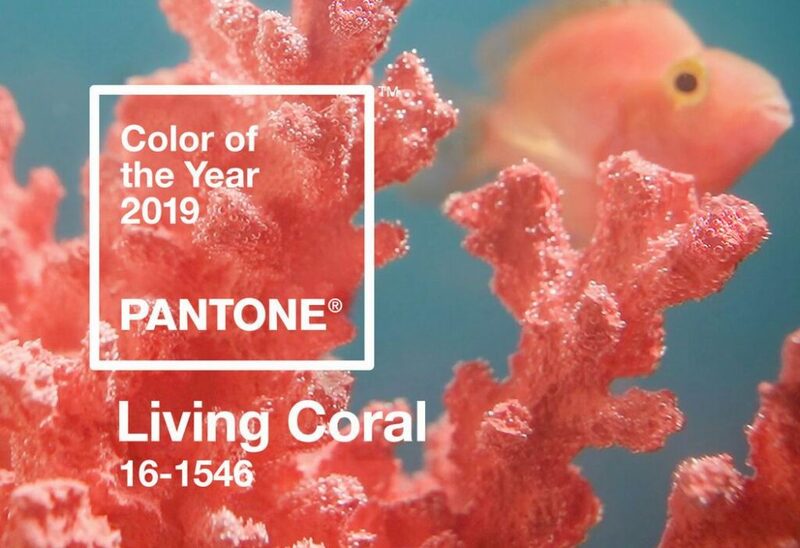 This year the colour of the year is the very vibrant living coral. 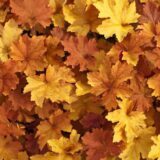 Heuchera, or caramel coral bells, which does really well in our climate. 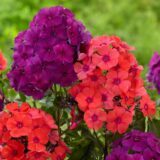 Phlox orange perfection, which pairs really nicely with dark purple Nicky phlox. 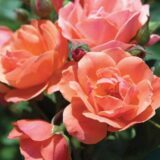 There are many roses in coral as well, like Coral Knockout, which re-blooms all the time. 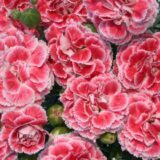 Dianthus coral reef is easy to grow in a sunny location. 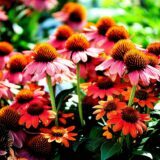 The sun-loving sombrero hot coral coneflower attracts butterflies. 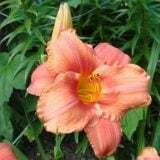 South Seas daylily is another nice one. We’re seeing bolder contrast, both in texture and colour, and groupings. That’s what people tend to gravitate towards because then you have less plants and maintenance but more impact. AM: When should you start planning, particularly if you want to be able to enjoy the work that you’ve had done in the same year? 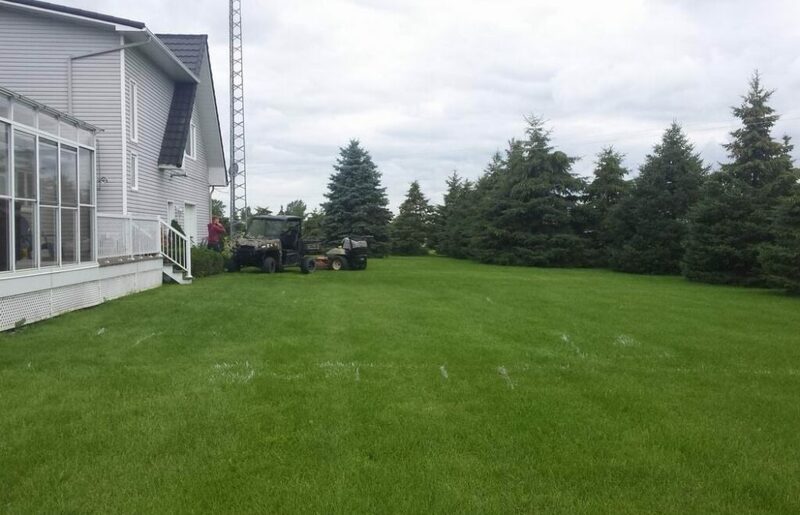 SS: Planning for any kind of construction should be done at least a season in advance. But keep in mind that designers plan all winter long. 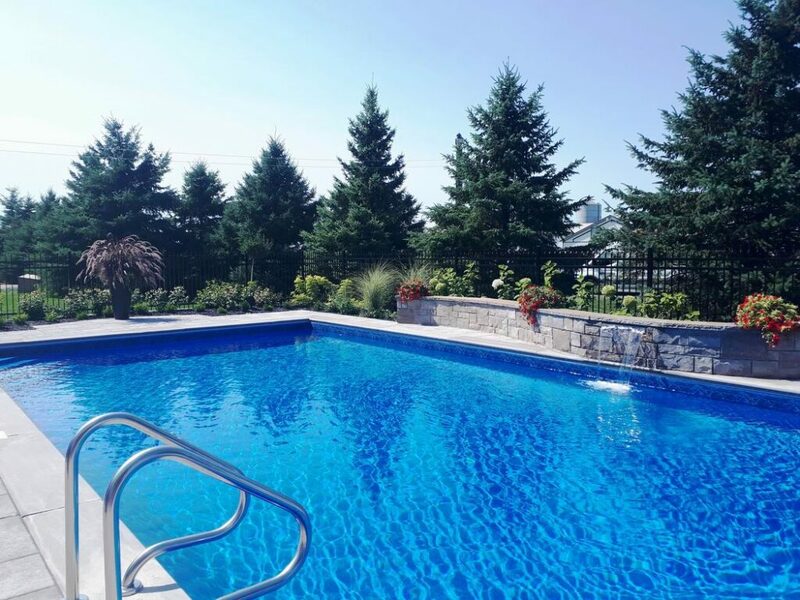 That way we have all winter to plan, pick out materials, make modifications, look at budget, make adjustments as needed and then you can secure your spot for the spring. It’s important to not rush that process. 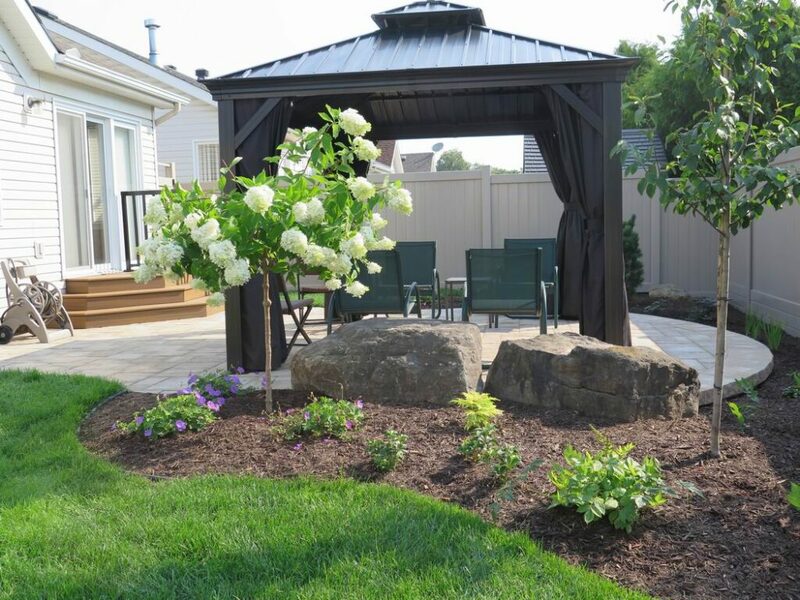 You’ve waited all this time to make your perfect backyard; give yourself the time your project needs. AM: What should your priorities be? I have heard the process described as creating a roadmap to help get you from one point to the next. You may not implement it all right away, but without the map you don’t really know which way you’re going. SS: If you want to implement a plan in phases, get a plan for the overall property. But if you expect to take longer than five years, limit what you get designed to what you can implement within five years. Beyond that, your tastes or circumstances might change. 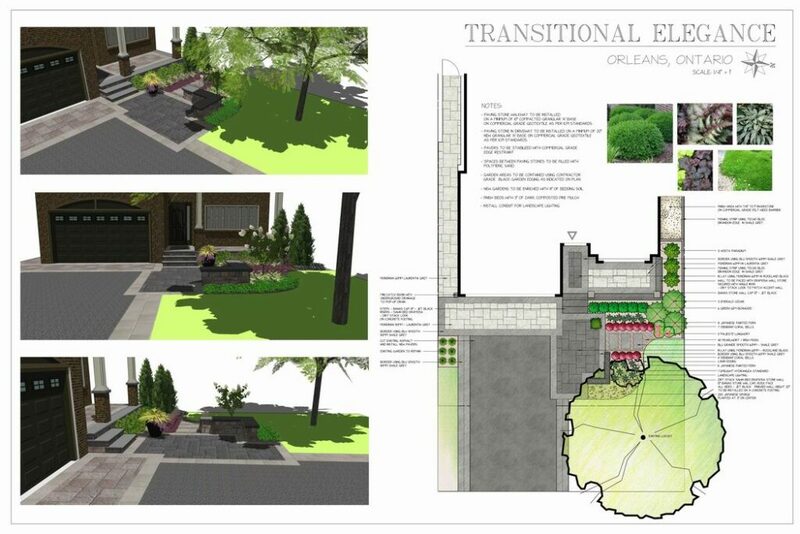 If you’re not sure what you’re going to do with an area, it can be left out of the plan. 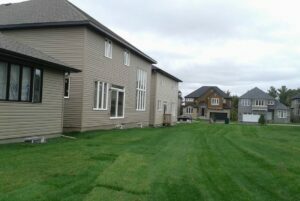 Your plan will then help the trades and contractors know the right order to do things in and ultimately save you money. 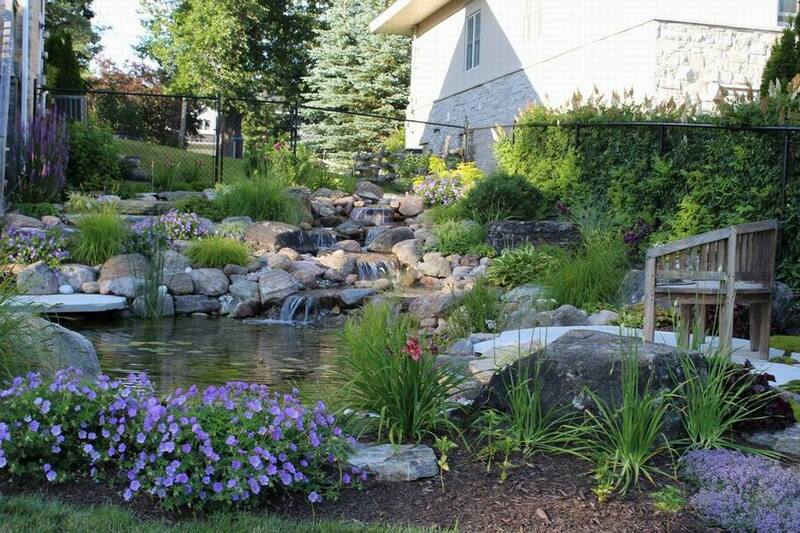 A pool, for instance, should go in first, and then you can have the property landscaped. AM: Obviously, budget is always an issue. But if your funds are limited, how do you tackle a project in manageable portions? SS: It goes back to the initial consultation, when we discuss budget. This way, we’re not over designing or under designing. 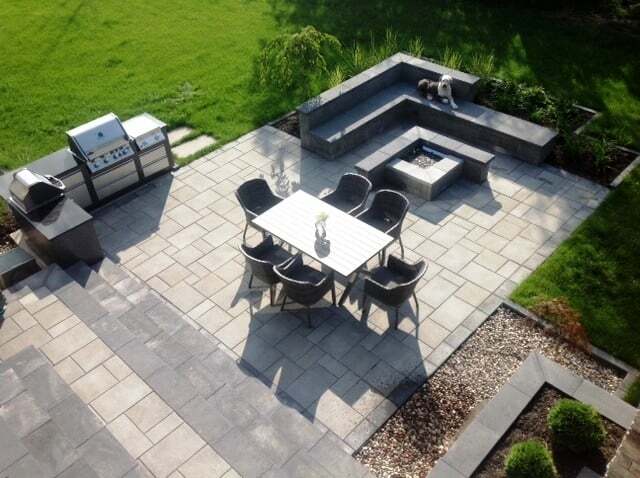 If I listen well and I give you a plan that’s within your budget, then you can start tackling bits and pieces at a time, maybe one garden this year and another the next. AM: So, you can divide it up into phases, determining which ones should be done first and then, based on the budget, start filling in the blanks? SS: Yes. But it’s also important to know what kind of total budget you want to commit to. Determining that will depend on how long you plan to stay in your home and its value. 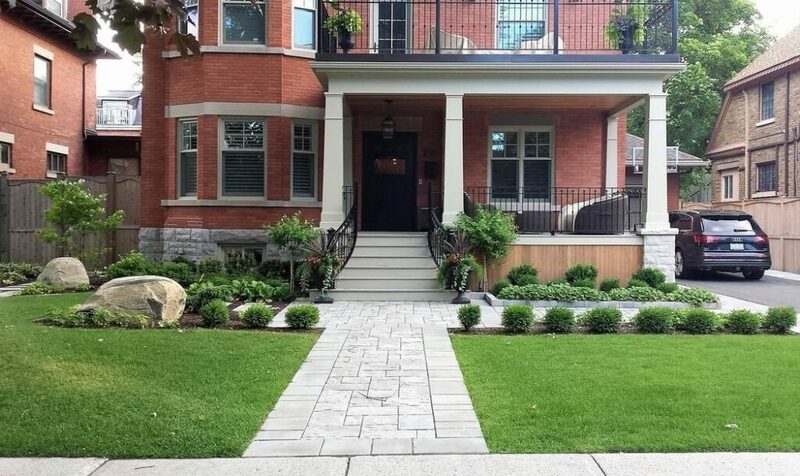 If selling is a possibility in five to 10 years, generally your landscaping should cost about 10-20 per cent of the value of your home. 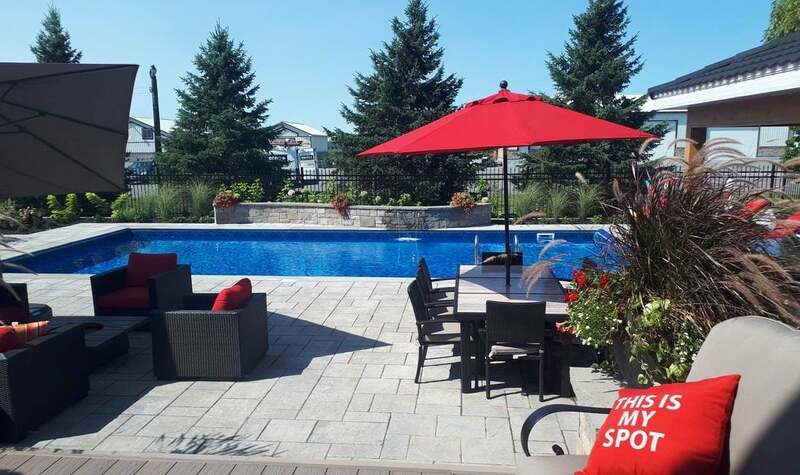 Pools are not usually included in that percentage; it’s just for basic landscaping — walkways, flower beds, planting trees, privacy. And some people will spend more. 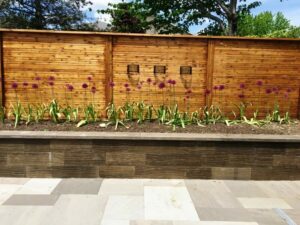 AM: What kind of outdoor projects tend to give you a good return on investment or really hold their value? AM: How do you pull a look together if you don’t even know what you like or what your style is? SS: It’s not your job to know. (She laughs.) That’s what I’ll figure out talking to you. You probably have an idea of things you like or have pulled pictures of things you’ve seen online. You might not know why you like something, but I’ll be able to look at them and know what would work for you. If you get a good designer, someone who’s listening to you and has good ideas, you’ll end up with a really nice project in the end.